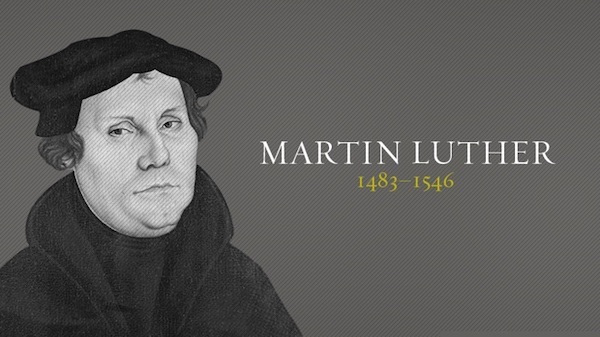 Martin Luther was the key figure in the precipitation of the Reformation. Martin may either be a surname or given name. Martin is a common given and family name in many languages and cultures. It comes from the Latin name Martinus, which is a late derived form of the name of the Roman god Mars, the protective godhead of the Latins, and therefore the god of war…. I bring this up because it is curious and notable to me that apparently is common for converts to Christianity in India (I’m setting aside traditionally Christian groups such as Nasranis) to take a “Christian name”. One of the arguments is that you shouldn’t have names which refer to a pagan god. Someone should have told Martin Luther. The Anglo-Saxon kings retained the myth of descending from pagan German gods long after their Christianization (they obviously didn’t believe it literally, though they still refused to let go for the prestige). The records were clearly from sub-elite individuals. People from whom records remained due to their service or taxes paid. What one sees is that for several centuries the proportion of classical Iranian names drops as the number of local landlords who are non-Muslim drop….and then as the Muslims become overwhelming, there are individuals who are known to be Muslim who are being given classical Iranian names all of a sudden. 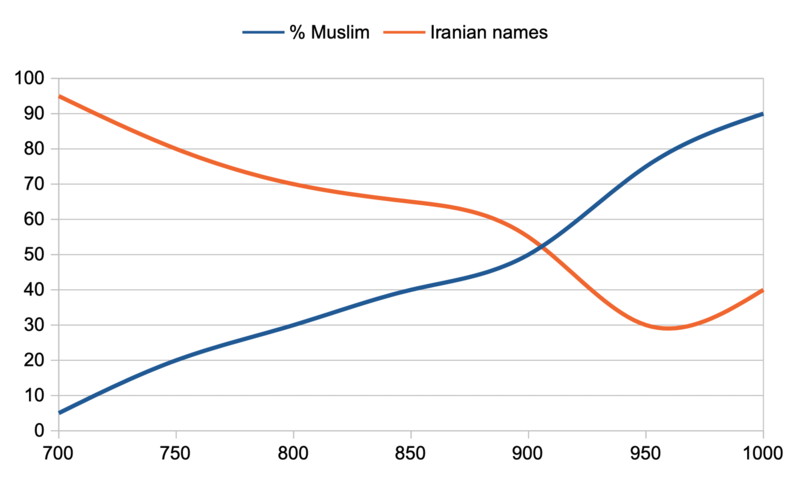 The link between being non-Muslim (generally Zoroastrian) in rural Iran among sub-elites and having an Iranian name disappeared when the number of non-Muslims declined to the point where they were not a major community (outside of isolated areas such as Yazd). In a similar manner, Bangladeshi Muslims often have more ostentatiously Arabic names than Pakistani Muslims, who reflect more Iranian and Central Asian influence. The Bengali Muslim intelligentsia is a recent creation of late modernity, balancing its sincere religious beliefs with an ethnic identity distinct from the post-Mughal Islamicate culture further up the Gangetic plain and into Punjab (the Muslim elites of Mughal era Bengal did not speak Bengali as their high language, and the early Bengal Rennaissance was due to Hindu gentry). The extremely Arabic names are probably one way to emphasize one’s Muslim bonafide in a cheap manner. My own children have conventionally Western forenames (though not generic ones). The reasoning is straightforward: they are being raised in a conventional white American milieu. I have no religious attachments obviously, nor am I passionately ethnic, outside of some food preferences. Their South Asian heritage is part of their past through me, but the future is different, and the names reflect that. Going back to names…it’s ridiculous to say that they don’t indicate deep culture dynamics. The hyper-Muslim people in my family don’t make recourse to Bengali pet names. My father, whose father was an ulem, did not have such a pet name. As the lineage secularized, with my father, pet names in Bengali reappeared. Since I am not a believer and am unlikely to passionately convert to some religion, I don’t know the motivations and psychology. And people are free to do what they want. But the idea that conversion to Christianity necessitates a name change seems ridiculous to me. The first Christian king of Sweden was Olof Skötkonung. The first Christian Roman Emperor was named Flavius Valerius Aurelius Constantinus Augustus from birth to death. Could think of a name more Scandinavian or Latin Classical? Though it is common in the Islamic world to have distinct names rooted back to the Middle East (Indonesian Muslims being an exception), there is far less uniformity in Christianity. And yet many Christians adopt this pattern. Why? Similarly, white converts to Hinduism sometimes adopt Indian names. Why? The post is not so much an argument for anything. But an observation that opens up a discussion…. In at least some denominations of Judaism, a convert is encouraged (not required) to take up a Hebrew name, not necessarily legally, but as a means to adopt Abraham and Sarah as spiritual parents. Like the appellation “ben Avraham Avinu,” “son of our Father, Abraham,” or “bat Sarah Imenu,” “daughter of our Mother, Sarah.” This Hebrew name is important when being called up to the Torah, for instance. Ironically, the original and most famous Jewish convert, Ruth the Moabite, kept her Moabite name. In at least some denominations of Judaism, a convert is encouraged (not required) to take up a Hebrew name, not necessarily legally, but as a means to adopt Abraham and Sarah as spiritual parents. East Asians typically don’t change their names upon conversion, right? Whether to Buddhism, Christianity, or (in the case of the Hui) Islam? one thing to remember is that religion is less salient as a culturally cohesive identity creator in east than in other parts of eurasia. It is interesting that areas of Maharashtra, Goa and Karnataka, where there were conversions to Christianity, it was very standard to have European first and last names. Over the last few generations at least among the urban Christians, the trend is to have Indian first names, while retaining the European last name. Since a number of conversions were under duress (e.g. in Goa), there also seems to be a desire among some Goan Christians to find their “roots” and reach out to long estranged cousins who opted to leave parts of Portuguese controlled Goa rather than convert. DNA testing is making this much easier. My prediction is that there will never be a reconquista in India as happened in Iberia. 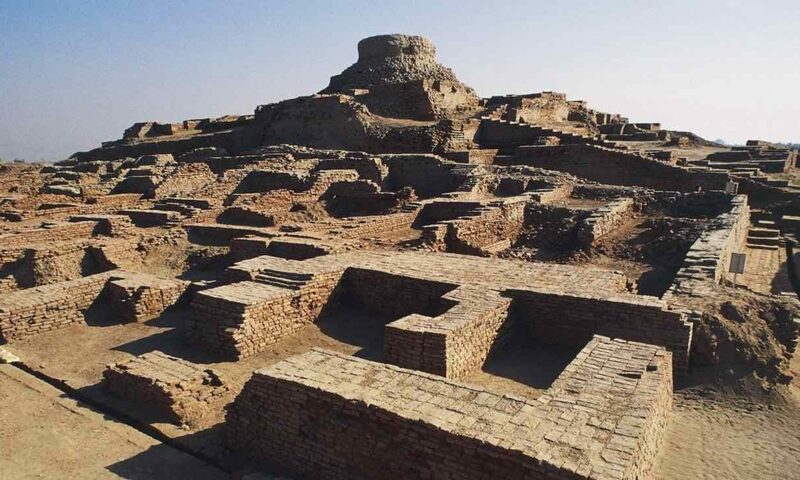 However, we will see over time a gradual acknowledgement of cultural lineage that may have been set aside for a host of reasons under Muslim rule and then subsequently under British rule. Perhaps the Ramayana and Mahabharata will continue to be emotive religious texts for Hindua while becoming understood as important aspects of cultural heritage of all Indians. Perhaps I am dreaming….. Fat chance of that happening in our lifetime. The trend is just the reverse. Sikhs, who were just a Hindu sect till 100 years ago are now aggressively non-Hindu. Even Jains and Lingayats are claiming identity separate from Hindus. And Muslims ever accepting Ramayana and Mahabharata as important aspect of their cultural heritage? ROFL. It’s a tough neighborhood bro. Why just Jains and lingayts I feel that increasingly most liberal Hindus in N-India will face the stark choice. Identity with hindutva or opt out of the project altogether. The upswing in Persian names from 950 AD onward is clearly a function of the influence of Samanid dynasty, which was the first native Iranian dynasty after the Arab rule. This theory is a bit too pat. The samanid empire was centered around Bukhara and Samarkand, with present day Iran a bit of backwater. The empire extended from 819 to 961, but was mostly Sunni and greatly encouraged the Arabic naming in khorasan. How will a Sunni empire in Samarkand encourage Persian naming in Iran? In fact, there was a vigorous civil unrest in Iran against samanids towards 950 AD. yeah. well hard to tell if they are part of same general dynamic. though i think mahmud of ghazni patronized ferdowsi and he was a turk. Just feel that Ferdousi did a number on him. Took the money and wrote what he (ferdousi) wanted to. “Martin Luther (1483-1546) was the descendant of the Serbian lineage of the Ljutic tribe. The names of his ancestors were Luyt (meaning crude, angry, tough, strong). The ancestors were forced to germanize their last name in Lutyr, then to Luthyr and in Luther. He was born in Lower Saxony, a place known today as Eisleben which was previously known under its Serbian name Sebenica, which is still preserved in the name of the “old town” of the Zibenik district (Siebenhitze) “. The hometown of Eisleben or Sebenica, was known in the 10th century (994th) and under the name Serbian name ISLEVO. It is now under the protection of UNESCO. The Luther family (worked in mining) moved from Thuringia. Early Middle Age sources refer to the Thirin hills as saltus Sclavorum (i.e. Serbian), while the impenetrable Thuringian forest was known as Lovia, which is the Serbian word for the hunting grounds. 	Some German sources from the 9th century speak of Thuringia as Sorabica (limitis =Serbian border). In other Germanic sources Thuringia is a respublica Sorabica (=Serbian republic). In the middle of the 9th century the German government in Thuringia represented Takulf: dux Sorabice limitis (Serbian Duke). Takulf’s successor – Popo, wore a similar title: Poppo, comes et dux Sorabice limitis. 	In 1147, the Saxony Duke and Vassal of Friedrich Barbarossa Heinrich Laver, along with the Danes and the Poles, led a Crusade against the Serbs (Wendenkreuzzug). The extinction of pagan Serbs lasted more than two decades and then the German colonists were settled on their land. 	Saxonic ruler Henrik I led a rally against the Serbian tribes of Ljutic and Bodric 928-929. g performing the terrible massacre of women and children. Oton I, who had the ambition to restore the state of Charles the Great, sent Gera and Meresburg to conquer the Serbs in two wars during the first half of the X century. As all converts, Martin Luther strongly hated his roots and very badly wrote about Serbs (so as Karl Marx and Fredrich Engels, too). Born in Nis on February 27, 272. He is remembered as the greatest emperor of the Roman Empire. He ruled from 306 to 337, and remained known by the Milan edict of 313, making Christianity the official religion of the empire. Born in Sirmium (now Sremska Mitrovica, 50 km from Belgrade) on May 10, 210. He ruled from 268 to 270, when he died of plague. He is known for the execution of St. Valentine. Born in Sirmium around 212. He was the born brother of Claudius Goths and ruled a few months before he was killed in 270. Born in Sirmium on a small village estate. He succeeded Quintile and is known as the advocate of MITHRAISM and the cult of the Invincible Sun, and as a fiscal reformer. However, the most important thing he did was the demolition of the secluded Gall’s Empire and his return under the auspices of Rome. He ruled for five years, to 275. He was killed by pretorian gard on the way to Asia Minor when he planned to conquer Mesopotamia. Olof Skötkonung (c. 980–1022) was King of Sweden. His title was – The King of the Swedes and the Geats (i.e. Serbs). Beowulf and the Norse sagas name several Geatish (Serbian) kings. Hygelac was confirmed in Liber Monstrorum where he was referred as “Rex Getarum” and in a copy of Historiae Francorum where he is called “Rege Gotorum”. These sources concern a raid into Frisia, in 516, which is also described in Beowulf. Some decades after the events related in this epic, Jordanes described the Geats as a nation which was “bold, and quick to engage in war” -😊. Before the consolidation of Sweden, the Serbian Geats were politically independent of the Swedes. When written sources emerge (10th c.), the Geatish lands are described as part of the still very shaky Swedish kingdom. The actual story in Beowulf is that the Geatish king helps a Swede to gain the throne. What historians today think is that this realm could just as well be the force behind the creation of the medieval kingdom of Sweden. The historians make a distinction between political history and the emergence of a common Swedish ethnicity. The, so far more or less imagined, Swedish invasion of Geatish lands has been explained as Geatish involvement in the Gothic wars in southern Europe, which brought a great deal of Roman gold to the people of Götaland, but also naturally depleted their numbers. The oldest medieval Swedish sources tell that there were kings, ruling by the title of Rex Gothorum as late as in the 12th century, and that one of those kings went on to become king of a united realm. My apologies for spelling and grammar mistakes in previous comments. I tried to be the briefest possible, there is a whole book to write. I will revisit Visigoths from Razib’s last week blog. It is significant because they are cousins of many in SA. Re M.Luther, I already mentioned that Serbian roots have: Bismark (the founder of German state), Leibnitz (the founder of German Academy of Science), Katarina II (Russian Empress). The point is that readers should get a hint of the extent of falsifications of EU (and subsequently SA) history. Female names: Song (Daina) Storm (Audra), Linden (Liepa), Fir (Eglė), Echo (Aida), Dew(Rasa), Rue (Rūta), Clear skies (Giedrė), Chamomile (Ramunė), Sun (Saulė), Dawn (Aušra), Eventide (Vakarė), Mist (Miglė), Bird Cherry (Ieva), Fire (Ugnė), Sea (Jūratė), Amber (Gintarė), Linen (Lina), Medeina (Medis – tree), etc. I have to say that the assertion of Indian Christians (at least the new converts) changing their names to something European/Biblical does not gel with my experience. One of my close acquaintances, a Bengali experimental physicist (whom I’m not going to name as I don’t want to make this personal) who worked as an academic in Cambridge – and now has a successful career at one of India’s premier unis – is a Christian convert. No change of name. He introduced to me to an entire sub-culture of (Protestant) Christian proselytization: I’ve met Iranian Muslim converts to Christianity, entire families who fled Iran to the UK and a few of them going back to spread the “Good Word”. I’ve met the son of a Pakistani Army Maj General, who converted and lives in a household of Dutch Christians. I’ve met Myanmarese Christians living in a safe house around Tottenham Court Road (probably not legally). I’ve also known British Cambridge grads (middle class girls) who travelled to and now live in China – under the guise of teaching English – to spread the word. Also Turkish Muslim converts to Christianity, born-again US army vets, an upper-class Gujarati who married a Christian and converted (and gave Indic names to his kids), Singaporean Chinese Buddhist converts and the such like…. I could write a book! In none of those interactions have I ever sensed any tendency in Christianity to impose biblical nomenclature on new converts. Not one person I met had changed their name. PS: Hindu Indians, esp the “liberal” ones, completely underestimate how strong Christianity’s future is going to be in India. Quite like South Korea in some respects. I have no opinion one way or other. But just wondering what makes you think so? Do you have any data points, anecdotal evidence or visible trends to back your assertion? Christianity is far too associated with the West..
LI have no opinion one way or other. But just wondering what makes you think so? Do you have any data points, anecdotal evidence or visible trends to back your assertion? agree. some hindu nationalist friends claim there are massive crypto-conversions and that the census lies. but christianity was associated with nationlism in 20th century south korea. having a hard time seeing any similarity. I dont think there are massive but yeah the census does lie a fair bit. It has to do with how access to Govt resources and reservations are filtered in the rural hinterland. It helps if you are not from the wrong caste or religion. Anecdotal evidence and the ease (Hindu) Indians have with Christianity, that just does not exist with Islam. The more India liberalizes (and Westernizes), the more Indians will convert to Christianity. I doubt that, at least not in N-India. The most converts in N-India are from the backward castes and far and few between from Upper caste. This is not something which is totally different from what has been happening before. Also agree with the ease thing. But i see it as manifest a bit differently in sense that unlike the earlier younger generations there is a actual a rise of religiosity/spiritual-ness in today’s younger generation (rise of Jaggi, Sri-Sri,Ramdev) which sort of tries to align “Western” with “Hindu” , so i am not sure how much of “western” will influence folks to convert to Christianity. they may not be “comfortable” with Islam but they sing Urdu songs, consume biryani by the truckloads and love Muslim actors. the death of Islam is much exaggerated..
I’m just saying that Hindus generally are better disposed to Christianity than Islam. C’est la vie. japanese are at ease with christianity too. they celebrate xmas and have christian weddings. they don’t convert. south korea has a well understood connection to christianity. 2) after ww2, s korea emulated a lot of american things. two of them: christianity, and male circumcision. I think you are taking my analogy too far. My point was about significant contact of an Asian society with Western/American missionaries leading to adoption of Christianity – rather than similarity of mechanisms. India has generally been immune to Christianity because of significant caste-based stratification and colonial overtones. But Christianity in today’s India is seen in a much more benign light, almost as a symbol of enlightened modernity itself in poorer sections of the society. Besides India has opened itself to increasing American influence over the last 25 years, and I would expect a lot of growth of ministries in the country. There is of course a counter-movement from the Hindu RW too. However, Hindus concerned about this generally lack the PR and are typically crude in their response. Probably many people think westernization and modernization are easier if not synonymous with Christianity. Christian proselytization is also very flexible and innovative since it can be quite decentralized and sects left to their own devices. No more ‘rice Christians’ if ever there was one. Hindus must come up with a strategy to adapt Hinduism to urbanization and globalization. Perhaps the much maligned Swamis and Corporate gurus (by the intelligentsia) are doing their bit in that direction. I feel that the ultimate destiny of Jesus is to become the 11th avatar of Vishnu. All will be subsumed into the Baha’i Faith..
Prats, isn’t Jesus more like 9.1 or 9.5 Avatar? Kalki who is to come is the 10th Avatar. Buddha is the 9th Avatar. VijayVan I don’t understand how Christianity is related to modernity and Westernization. Many Africans and Latin Americans are Christian. The concept of freedom (including of art and thought) is eastern or pan Arya if someone prefers to see it that way. 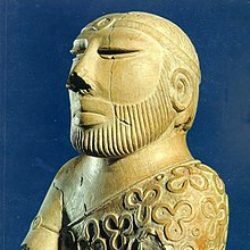 The ancient pre Jesus globallized world was some kind of pan Arya. Which is why ancient societies were so related to each other. Dyeus (witness, observer, sky father, ether/akaasha, also correlated to some degree with the planet Jupiter) was worshiped by the ancient Chinese, Serbs, Greeks and Arya Varsha. The ancients valued meditation and consciousness. He was born Luder, for which on history existed different spellings but in his lifetime this became stable. The explanation in the German wikipedia states this name comes from a place today called Lüdern. You are right, Wiki is not precise. They say that ‘people’ is ‘liut’ but it is actually ‘leute’. Also, wiki says that ‘army’ is heri’, it is actually ‘heer’. Liut or Ljut in Serbian means ‘angry’ but also ‘hot’ (like chili) what can maybe point on the origins of his ancestors from the tribe – Ljutic. Wittenberg was also the most popular with Serbian students, more than Leipzig or Heidelberg. Some justify his Serbophobia with his bad experience with these students although it was probably just usual converts’ sentiment toward own roots. It is interesting that Leibniz also originated from this big tribe Ljutic but he was not a Serbophob, even, there is one account that he wrote a letter to Russian czar Peter I in Serbian. Very interesting Nehrwert. Thanks for sharing. Luther meant freedom? Freedom in what sense? Luther aside, they don’t seem to be cognizant of the church founders names. In fact the author of much of the New Testament changed his name from the Hebrew ‘Saul’ to the Latin ‘Paul’. Jesus himself changed his chief disciple’s name from the Hebrew Simon to the Greek Peter. Then you have the Gospel of Mark (ltn: Mars, warlike), the Gospel of Luke (grk: from Lucanus), the disciples and apostles Andrew (grk: manly), Philip (grk: horse friend), Stephen (grk: crown), Timothy, Jason, Cornelius, etc. Going by its founders behavior, it’s almost anti-Christian in a weird way to pick a “Christian” name. I guess they must have been Hellenised Jews? Apostle (in Serbian – apostol) originates from archaic Serbian – ‘postol’, what means – footwear. Jesus sent his closest followers to go and preach barefooted. Because of this: a-postol, i.e. apostle. Soon, when appropriate, I will write, exclusive to BP, about first 50-100 years of Christianity what is almost unknown in the world. After Jesus’ crucifixion apostles Jakov, Peter and Paul (Pavle) came to today’s Serbia and established the first diocese in 29.AC. Paul spent some time hiding in caves in Serbia. Much later they went to the city of Rome (the original Serbian name – Ruma, given by its founders Raseni i.e. Etruscans). Looking forward to chat with you again, Xerxie. Atleast from my experience in India, its a hit and miss for Indians. Compared to muslims , Christians in India do keep substantially more “Indian” names. It also has to do with a lack of pan Indian christian high culture (there are localized high culture ie : goa-christians, mallu christian,tamil christian, bengali christian). Its also a class thing where upper class Christians can have “christian” names, since they are more “religious” . Its similar to how upper class Hindus can have “exotic” religious hindu names while lower class mostly go by “conventional” hindu names. In many parts of India lower class(tribals,dalits) makes the whole population of Christians , and i went to school with them. They have totally Indian names like Manoj or Santosh just like their hindu dalit/tribal counterparts. They also have family members who are hindus themselves and regular intermarry with both tribal/hindu and christian way. Yes the first name Hindu the second name Christian. Saurav, I was talking to an Indian friend today. When did the word “Dalit” come into vogue. I don’t remember it being commonly used before. Neither do my friends. Before weren’t the words Tribals, STs, SCs, OBCs (now people say BCs for short) in greater use? India appears to be changing at lightning speed. I was talking to my friends’ daughter who is going into 9th standard in India. She is American. But it is easier to get into elite colleges if someone applies from India than it is if an “Asian American” applies from America. At least in Telugu regions where Christianity is characterised by an important element involving the translation of Bible into an archaic, classical and highly Sanskritised form of Telugu, many middle-upper-class Telugu Christians also tend to have highly Sanskritic names, often translations of Christian religious concepts like mercy. (They also have direct English names like Grace, Mercy, etc. too and of course the saint names.) The name karuNa comes to mind; this name is not at all popular with Hindus but is significantly present among Christians. I also heard of a few Tamil names like daivasahAyam, mArgasahAyam, etc. which are all Sanskritic translations of Christian concepts probably. Many people, especially 0th generation converts, retain their native names too, which have such strong Hindu connotations like Chandrashekhar, etc. lol. This is a interesting question,but it does not seem to be completely one way or the other. A good example that highlights this, among tamils, there is a trio of poets who are famous for their (protestant) christian literary works. Each one seems to represent the different personal choices upon becoming christian, one didn’t change his name, one halfway changed (kept his surname) and one may have completely changed (don’t know what the first initial stands for): Vedanayagam Sastriar, Henry Alfred Krishnapillai, and N. Samuel. Also, (at least from what I read in wiki about H.A. Krishnapillai) they seemed to have indigenize their christian poetry by looking to tamil hindu styles, if I understood it correctly. The negative or “inappropriately foreign” connotations of personal names seem to be easily forgotten when those names become popular, especially if there is a linguistic “break” between the name origin and the broader society in which it is being used. As an example, I know adult Jews from fairly traditional homes with with English names like Martin, Natalie, Renee, Isabella, Mara, etc., all of which are problematic in some way or another. In reference to the earlier comment about Jewish names, Judaism considers converts to be “parentless newborns” for the purposes of Jewish law, and so “son / daughter of Abraham” is given as the patronymic part of the name for placeholder purposes. In old legal documents they might be referred to as “[Name] the Convert”. Ritual use of the name “[Name] son of our father Abraham” wouldn’t be too common in a synagogue, as it singles the person out as a convert, which is discouraged. I think this article is very relevant here. Tony Joseph actually thinks that Christianity has failed in India. He says that if even after 2000 years of contact with India the Church has harvested only 2.5% souls of Indians, then the verdict is clear. Compare that to the record of Islam in India, a religion 500 years younger. this is not the dominant variable. conditions in the host society are. we have plenty of evidence of this in china. it . was filled with missionairies in the period btwn 1900 and 1950. very few converts (though some elite ones, sometimes explicitly for mercenary reasons). same with japan. lots of missionaries after the opening. the issue is the host society. chinese xtianity is growing faster through indigenous processes far faster than it did through missions. southern japan was receptive to catholic xtianity in a way in 1600 than it never has been since. but thanks for the exchange. it’s convinced me more that you are wrong, because i think you don’t have a good sense of how societies become receptive to christianization. it’s not just liberalism, modernity, and atomization of preexistence social orders. To be precise, when you and others talk about Christianity, you are talking about Catholics and numerous US de facto sects (Jehovah witnesses, Pentecost, Scientology, etc). They work as corporations with strong marketing and try to conquer new markets. India, China are big potential markets, they operate in Russia as well. They have very aggressive sale practices. Many in the West are disillusioned with this because the original Christianity tenets and 10 commandments, unlike very passive Orthodox, are forgotten and abandoned. They often switch and join Orthodoxes. Some of these new aggressive ‘churches’ even do not use cross anymore. Btw, did I tell you that the cross is an old Serbian sign (it was a letter in Vinca’s alphabet 5000BC) and it was started to be used in Christianity when a wife of Serbian Roman Emperor Constantine, Jelena, visited the Holy land and touched the cross where Jesus was crucified. This day is now celebrated in church as Krstovdan – Vozdvizenije casnog krsta (Serbian) or The Exaltation of the Holy Cross (English). Stay tuned for my chat with Xerxie. India will never become Christian. With a new found confidence in India from the growing economy, Christianity does not enjoy any progressive or wealthy western sheen. Maybe if liberalization hadn’t happened and India was still mired in sub-Saharan economic conditions Christianity may have harvested more souls. Indian emigrants in the USA very rarely convert to Christianity even though they may be lonely and have trouble socializing. In comparison lots of Chinese do become Christian for the same reasons. It does seem Indians do have a lot of attachment to their religion and customs and Christian belief, dogma and stories are just too foreign to have any emotional connect. There is no allure for Christianity from a philosophical point of view as well. Infact most Hindus would look down upon the lack of perceived depth in Christian philosophy and feel Hindu ideas to be deeper and richer. The allure of Mahabharata, Ramayana and the Puranas as well as philosophical Hindu texts is very strong. Moreover, upper caste Indians are mostly a well traveled group now and the explosion of internet has also made the true state of Christianity in the West known to Indians. Church attendances across western europe as well as many parts of USA are abysmal. I would venture to say that even the most Bible thumping evangelicals are in it for the money and fame and do not really “believe” in God as Indian Hindus or Muslims might do. A lot of Evangelical pastors are pure criminals. I really doubt such people can find many converts among Indians if their own lack of faith is so apparent. P.S. Most missionaries seem to attract converts to Christianity by providing a material need: providing food/clothes in Africa and India, social interaction to Chinese immigrants in the USA etc. If they really believed, they would be relying on the ‘stick’ as well as carrots and fulminating against non-Christians and damning them to hellfire for eternity or something. P.P.S I am actually surprised that Christianity did not find more converts during British rule among upper castes. At that time a lot of educational institutions were run by missionaries and the Indians were a wretched lot. It would have pretty easy to find converts even amongst the Brahmins. Why did it not happen? Maybe the British govt. did not really want it or the missionaries themselves were just good people doing their bit to spread the light and not really measured their success in the number of ‘harvested souls’. Or maybe the civilizational confidence of the Hindus is just too strong. “Kuch baat hai ki hasti mitti nahi hamari” and all that. I have another point to make as a practicing Hindu. I don’t think its just caste stratification which makes conversion to Christianity in India difficult. Modern day Hinduism has inherited a very strong tendency for honoring our ancestors (pitr) (tending towards ancestor worship) from its Aryan, Vedic component. Converting to another religion like Islam or Christianity would mean severing this connection to our ancestors and their culture permanently. Something unthinkable for any Hindu. Its even worse than committing suicide. This is a bit simplistic. It would actually be better if Hinduism were a bit more “materialistic” i.e. more invested in the material betterment of the more unfortunate among its flock. In the absence of any large-scale tradition of religion-based charitable works, it is not hard to see why the poor and marginalised would feel true gratitude to those who would be seen to be going out of their way to bring them some relief. I know of a ‘convert’ whose entire village community converted a few generations ago when a foreign priest helped them during a time of famine. I agree. And its already happening. Its called Hindutva. Another reason the missionaries to the Coramandal Coast (Madras, Sadras, Tarangambadi, Nagapattinam, etc) found was the horror with which Hindus viewed eating beef, and meat generally, these ‘cultural and moral’ factors prevented large scale conversion to a religion which accepted or encouraged it. It almost feels like thumbing one’s nose at the concept of adopting the new faith’s names. The website you linked to says that the Malayalam equivalents for George are varghIs, gIvarghIs, vakkaccan, etc. and not jOjV-. I don’t know much about the latter but your comment made me recollect that it is quite a popular Telugu Christian name. The founder of the school that I studied in in my childhood was an elderly man named jOjayya (jOji+ayya or jOju+ayya, not sure what is correct; likely the former). The etymology of jOjV- I don’t know at this point as I mentioned. Also, the Malayalam words are not really very special, though they may seem so because they don’t look like the familiar English/Latin/Greek equivalents. In many of the above cases, the immediate sources for the Malayalam words seem to be in olden Near Eastern pronunciations of the Christian terms in the original Greek and there is likely not a lot of Malayalam-isation that went on beginning from the starting point in these Near Eastern source languages (though some changes must have obviously occurred). The Syrian Christians have cohabited with Hindu society for many centuries and some Christian names may be from the Syriac language not English. haha, sure 🙂 It is quite possible I’m suffering from serious sampling bias on this one. My view is formed based on the sheer dedication/networking I witnessed in Christians proselytizing their faith at close quarters. Given levels of economic and social distress in India, that sort of focus can win many converts. Oddly enough, the group I saw most immune to such proselytization was of Indian dalit converts to Buddhism, sponsored by various Japanese organizations to work in the UK. Phenomenal to watch the Buddhist response to standard Christian points of attack! Maybe the wrong place to post, like I said I am starting to forget. Maybe all that booze from the age of 14. Yeas my father was a teetotaler. Writing more for me to remember. Sorry if long. I am starting to forget, barely can remember my father. I remember incidents but not much day to day stuff. Did a couple of conference papers for ARM, another at Fort Collins, Colorado. Chandra and I drove there. The car an old Chevy Celebrity (I think 1980 version) broke down just outside Fort Collins. Tried to fix it myself, but was snowing and thought the gear box had gone. Luckily had AAA got the car towed, hit the hotel and got ready for the conference next day. Did the presentation, vaguely recall doing dinner at the some fancy restaurant castle like place. Anyway car was fixed, USD 60 (still remember the cost, was thinking of hundreds) drove Denver (?) and then did the Silverton Durango railway. Guess why previous year or before we picked up a hitchhiker who said do the Durango railway (long before google and when we could afford Lonely Planet). That trip (the time we picked the hitchhiker) Chandra and I did Colorado Springs, Mesa Verde, Four Corners, and Grand Canyon and Phoenix. The car broke down just getting onto the road to Flagstaff. Thats another story. So Phoenix (I have a cousin sister, (my Galle relatives), Physics PhD there). So that year went to LA, NASA something. Still recall had Sri Lankan who were also attending who had brought a rice cooker to eat rice. This was a some fancy hotel in Pasadena. Chandra also needed to eat rice once per day day, but she had become more “high class” than cooking rice in the hotel. Anyway I think we ended eating rice at a Burmese Restaurant (I refused to drive, we walked). That trip we did LA, Catalena Island, then San Francisco, Redwoods, Along the coast of Oregon to Portland, cut across to Walla Walla (I had a Prof, Duane Waliser who fucked my PhD who was from that town). Then to Yellowstone and then to camping on Scotts Bluff. Then to camping in a dusty campsite on the Platte River. Back to the Fort Collins trip. Did Silverton Durango railroad, Just manged to get thru Molas Pass (14,000 ft) before they closed it because of snow. Chandra insisted on a photo with me on Molas Pass sign. Mola is idiot in Sinhala and Chandra wanted evidence of my being a idiot. Camped in a place downhill. It was so cold we got into the car and turned the engine on. Then Four Corners and back again to Grand Canyon and my cousin sister in Phoenix. Then to Tuscon and El Paso and Dallas where another cousin lived. From there Missouri, two cousins. Need to look at the map to figure I where I went. I wish Chandra was around to say her version of our travel. My Professor would wait to hear Chandra’s versions. The speed at which Hindus are being re-hinduised , has to be seen to be believed. 1.Very traditional names are being mined out of scriptures and given. No more Ramesh, Santhosh etc. 2. All communities had their religious leaders earlier, but now they are very strong. 3. The Madiga community needs to be studied. They have quite a high percentage of Telugu X ians and now they are organising across the religious divide. 4. Hindu boys are marrying X ian girls and the off springs are Hindu.